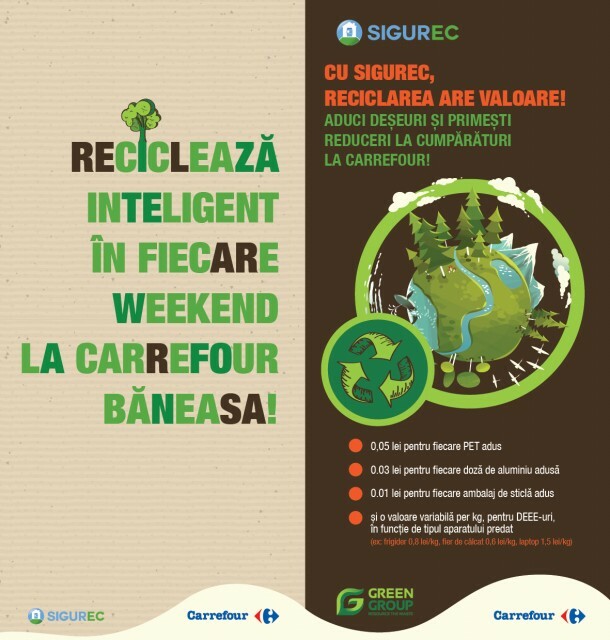 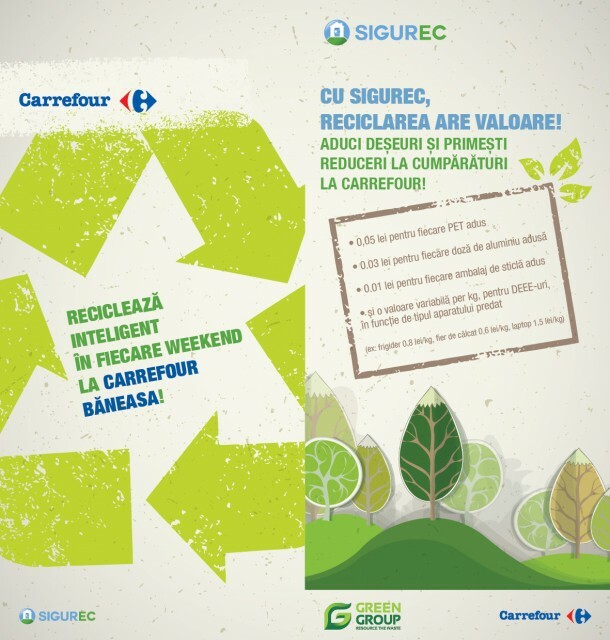 They needed a flyer to communicate to Carrefour clients that waste does not need to go to the waste land, because it is really easy to make sure they get recycled. Clients would also get some money for waste they bring. 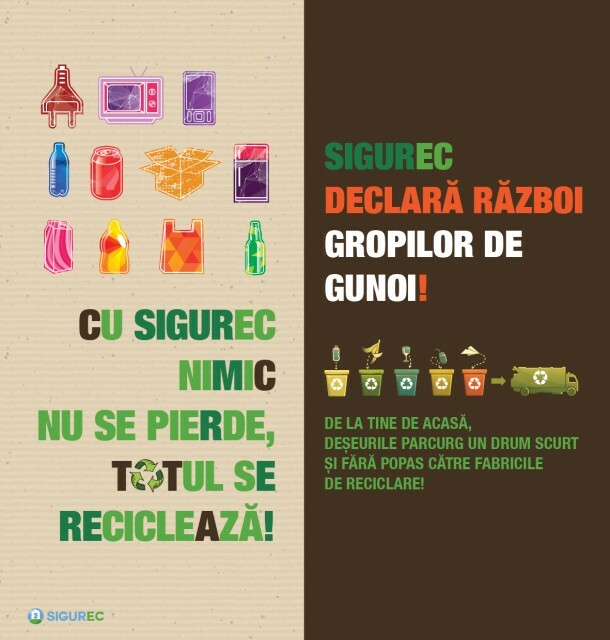 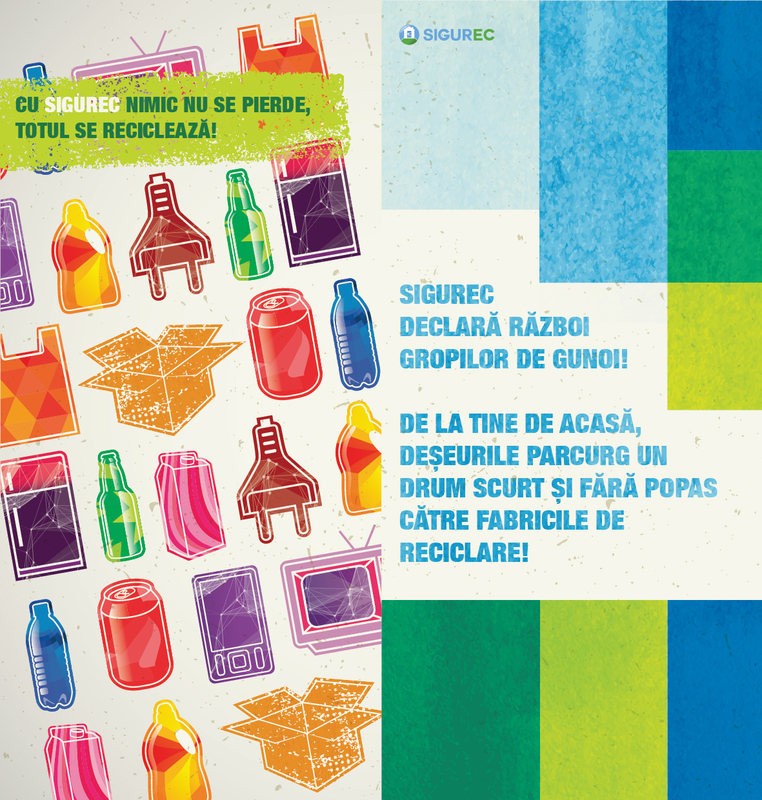 This first proposal uses more the Sigurec brand imagery – waste illustrations, recycling symbols. 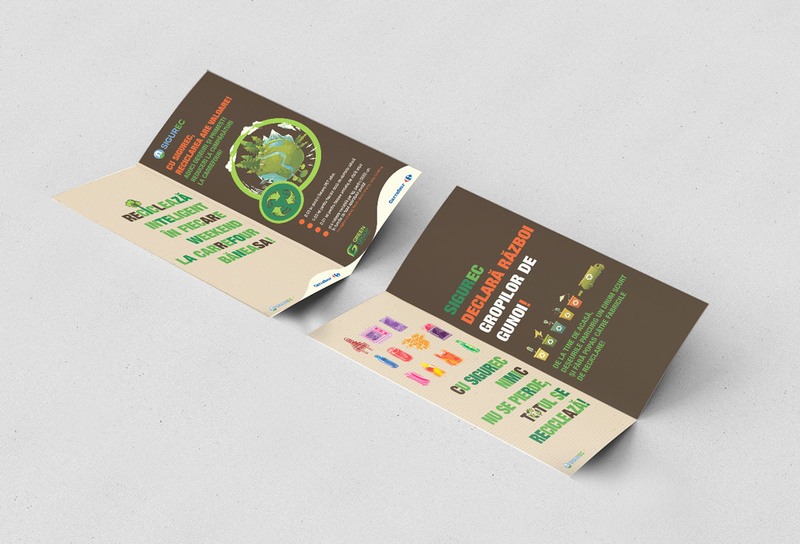 The second proposal uses a more environmental design. 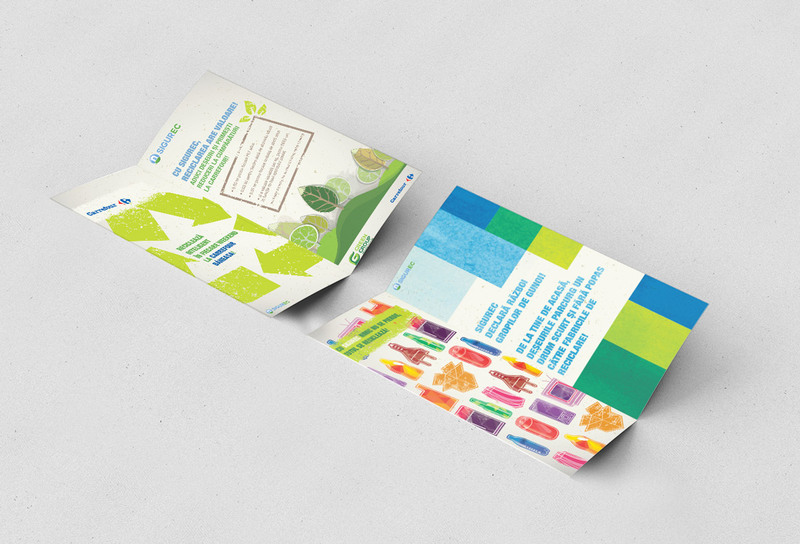 Both proposals feature recycled paper patterns.